Seven states, led by Texas, have filed a lawsuit against the Trump administration to end the Deferred Action for Childhood Arrivals (DACA) program — launching a new front in the fight over the Obama-era immigration policy. Alabama, Arkansas, Louisiana, Nebraska, South Carolina and West Virginia joined Texas to collectively urge the federal government to declare the program unconstitutional and halt the issuing or renewing of DACA permits. The lawsuit alleges that the Obama administration exceeded its legal authority when it unilaterally created the program without the approval of Congress. 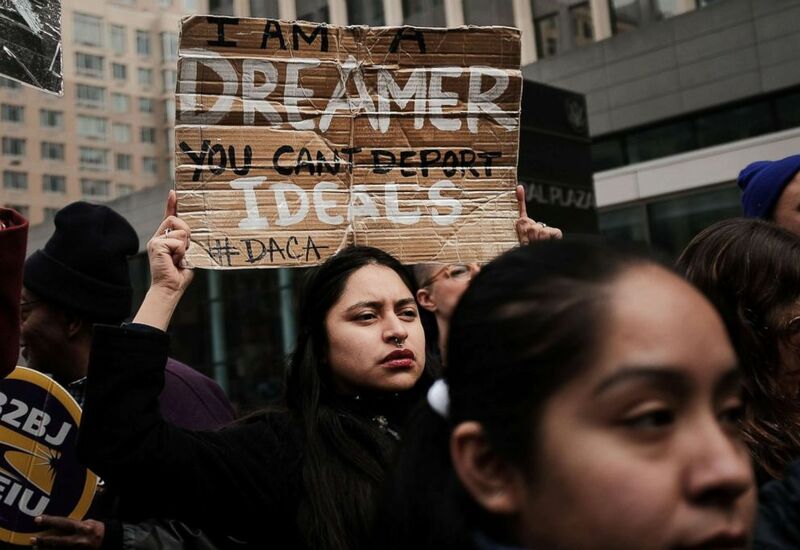 Filed in the United State District Court for the Southern District of Texas, the lawsuit asserts, "This Court has authority to immediately rescind and cancel all DACA permits currently in existence because they are unlawful. However, Plaintiffs are amenable to a remedy that enjoins Defendants from issuing or renewing DACA permits in the future, effectively phasing out the program within two years." DACA allows undocumented immigrants brought to the U.S. illegally as children to remain in the country. The program currently protects nearly 800,000 so-called Dreamers. Demonstrators, many of them recent immigrants to America, protest the government shutdown and the lack of a deal on DACA outside of Federal Plaza on Jan. 22, 2018 in New York City. The multi-state lawsuit "does not ask the federal government to remove any alien currently covered by DACA, nor does it ask the Trump administration to rescind DACA permits that have already been issued," the filing states. It also "does not call on this Court to resolve any of the challenges pending in California or elsewhere about the validity of Case." The aim of the lawsuit, according to the filing, is to challenge "whether the 2012 executive action unilaterally creating DACA was itself lawful." While this coalition of states is suing the Trump administration, the president represents more of an ally than an adversary on immigration policy. Trump shares in their staunch opposition to the program. Last September, Trump announced that his administration will repeal the program — setting a deadline for Congress to create a legislative fix for Dreamers by March 5, 2018. However, Congress has yet to take up any significant legislation to resolve the DACA issue and Trump’s attempts to end the program have been delayed by multiple legal challenges. In January, a federal judge in California issued a nationwide injunction that ordered the federal government to begin accepting DACA renewal applications again. And in February, a federal judge in New York issued another preliminary injunction that also blocked Trump’s efforts to end the program. These federal injunctions provide current applicants with the ability to continue to reapply for benefits. And just last week, a federal judge opened the door for a full reinstatement of DACA, but after a 90-day delay of the ruling to offer the Department of Homeland Security a chance to "better explain" its opinion on the unlawfulness of DACA. The administration’s "legal judgment was virtually unexplained...and so it cannot support the [Department of Homeland Security] decision ... It was also arbitrary and capricious in its own right, and thus likewise cannot support the agency’s action. For these reasons, DACA’s rescission was unlawful and must be set aside," the federal judge wrote. In a statement, Texas Attorney General Ken Paxton said, "DACA sets a dangerous precedent by giving the executive branch sweeping authority to ignore the laws enacted by Congress and change our nation’s immigration laws to suit a president’s own policy preferences." Texas Attorney General Ken Paxton speaks about a lawsuit he filed against the federal government to end DACA during a press conference in Austin, Texas, May 1, 2018. Paxton is leading a seven-state coalition in the lawsuit. "Our lawsuit is about the rule of law, not the wisdom of any particular immigration policy," he added. "[DACA] encourages lawlessness within the federal government and at our borders." "Texas has argued for years that the federal executive branch lacks the power to unilaterally grant unlawfully present aliens lawful presence and work authorization," he said. Texas has the second highest number of DACA recipients — second only to California — with approximately 113,000 currently living in the state, according to a report in September 2017 by the U.S. Citizenship and Immigration Services. Paxton previously threatened to challenge DACA until President Trump rescinded the program. This new lawsuit — filed in the same district where Paxton challenged Obama's DACA expansion and DAPA program, upheld in a lower court ruling after a 4-4 ruling in the Supreme Court — is facing a backlash from various liberal groups including the Texas Democratic Party. In a statement, state Democratic Party chair Gilberto Hinojosa said, "Texas Republican Ken Paxton’s cruel anti-immigration agenda will rip over 124,000 Texans away from their families and jeopardize our economy." "Dreamers belong here and we’ll never stop fighting for them to stay," he added. America’s Voice Texas Director Mario Carrillo added to the chorus of criticism, saying in a statement, "Ken Paxton is doing everything he can to keep Dreamers living in fear of deportation to countries that they barely remember." 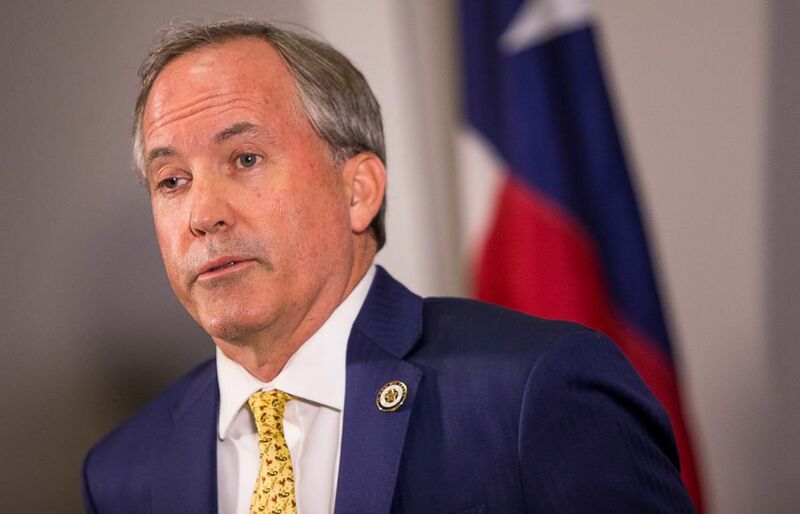 "Paxton’s anti-immigrant political attacks aren't about the rule of law but rather about crushing the futures of Texans whose only desire is to continue contributing to the state and the country they call home," he said. ABC News' Serena Marshall and Armando Garcia contributed to this report.